State leaders should recognize that adding technology to classrooms may not be enough to improve educational standards. Participants in the education ecosystem can work together to create integrated technologies to improve education for students inside and outside the classroom. K–12 education is an important issue for governors for two major reasons. First, voters care passionately about their children’s education. Second, a well-educated population is an important foundation for economic prosperity. This report was considered shocking by many because the United States had long expected top-notch results from its education system. In the words of the report, it was “unimaginable” that other nations would match or surpass the United States’ educational attainments. Since 1983, the K–12 education landscape has been marked by political battles as well as a wide array of reforms, including the federal No Child Left Behind effort. As technology evolves and experimentation of various sorts provides data to guide reform, we are likely to see a continued focus on educational innovation. While there is no shortage of political disagreement on the topic, there is one aspect of education policy upon which both Democratic and Republican governors seem to agree: States should lead and the federal government should allow them to do so. In 2017, the National Governors Association released a policy statement on education that stresses this point: “Governors believe federal education policy should embrace a stronger state-led accountability system . . . [federal law should] recognize the proper, leading role of governors and other state officials to collectively govern education.”3 That shift back to states appears to be already underway, as the Every Student Succeeds Act, which became law with bipartisan support in December 2015, gave states greater flexibility in terms of setting standards as well as in the areas of curriculum, pedagogy, and teacher professional development. As shown in figures 1 and 2, fourth-grade student achievement has been average and mostly flat over the last 17 years in both mathematics and reading. Education reform used to center on changes to traditional K–12 schools. Today, education innovation seems to be a much broader term. Rethinking education often starts with rethinking potential learners, from the very young through children in secondary school to people in their working adulthood. It also may mean reconsidering the notion of a public school, requiring fresh thinking about school governance approaches as well as about ways to deliver an effective education experience to students, teachers, and parents. The challenges of school preparedness and family dysfunction are real, and work is being done to ensure students arrive at school “ready to learn.” Some states, such as Michigan, are taking steps toward greater involvement in pre-K education to help children be ready to learn when they arrive at school. In 2016, Michigan governor Rick Snyder issued an executive order establishing the 21st Century Michigan Education Commission. Composed of a wide array of education and business leaders, the commission’s report addressed educational issues that go well beyond the traditional classroom. Teacher quality is widely viewed as one of the most important variables in student success. Numerous reforms have been advanced to improve the situation, from curtailing tenure to just-in-time professional development. Other reforms have focused on measuring teacher performance—something that can be very difficult to do—in order to effectively implement pay for performance. A combination of live instruction and digital augmentation tools may help to boost the effectiveness of teachers through the enhanced use of technology. Digital education materials include educational software, games, videos, podcasts, and other media that can be accessed through laptop and desktop computers, tablets, and mobile phones. Thanks to the advanced technologies available today, it is possible to securely deliver instructional content personalized to an individual student’s ability, interest, and learning style. As a case in point, Khan Academy’s “anytime, anywhere” educational model delivers personalized learning to students worldwide and even provides diagnostics and dashboards to teachers. Roughly 40 cents of every public education dollar goes to noninstructional costs—physical infrastructure, food service, security, and so forth.16 A variety of approaches exist that could reduce these costs, potentially allowing states to devote more resources directly to learning. Closing the workforce skills-employability gap could be important to economic competitiveness. In the past, most governors were either “workforce governors” or “education governors,” but in some cases, these priorities may converge. Allan Ludgate is a managing director of Deloitte Consulting LLP within Monitor Institute by Deloitte. He is based in New York. 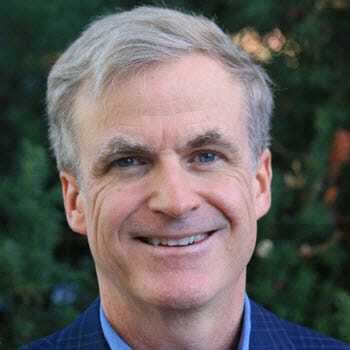 John O'Leary is a manager with Deloitte Services LP, and is the state and local government research leader for the Deloitte Center for Government Insights. He is based in Boston. K–12 education: Old debates yielding to new realities has been added to your bookmarks. K–12 education: Old debates yielding to new realities has been removed from your bookmarks.